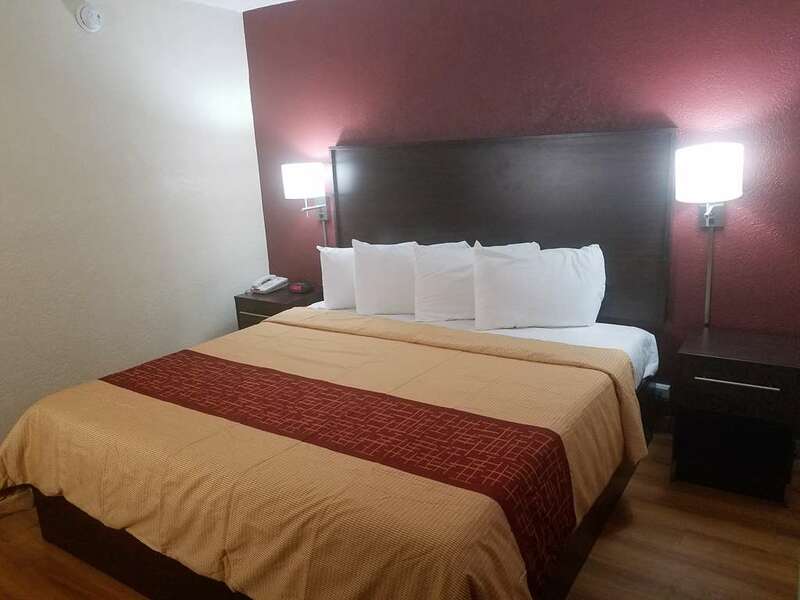 Off I-35 and just north of San Antonio, the Red Roof Inn San Antonio Northeast - Rittiman Rd puts you in a truly convenient location. Were within walking distance of numerous restaurants, and only a short drive from the Alamodome. The Alamo and River Walk are less than a 15-minute drive. The citys top destinations are all just minutes from our hotel. Our friendly staff is ready to help you with anything you might need. The rooms at this newly renovated hotel offer large flat screen TVs, and free WIFI. Select rooms offer microwave & refrigerators, iron & ironing boards, hair dryers, work desks, and in-room coffee makers. Enjoy your day basking in the sun, by our outdoor pool. Complimentary coffeehouse-style coffee & tea is offered in the lobby and one well-behaved pet per room is welcome. Off I-35 and just north of San Antonio, the Red Roof Inn San Antonio Northeast - Rittiman Rd puts you in a truly convenient location. Were within walking distance of numerous restaurants, and only a short drive from the Alamodome. The Alamo and River Walk are less than a 15-minute drive. The citys top destinations are all just minutes from our hotel. Our friendly staff is ready to help you with anything you might need. ~61 miles from San Antonio.